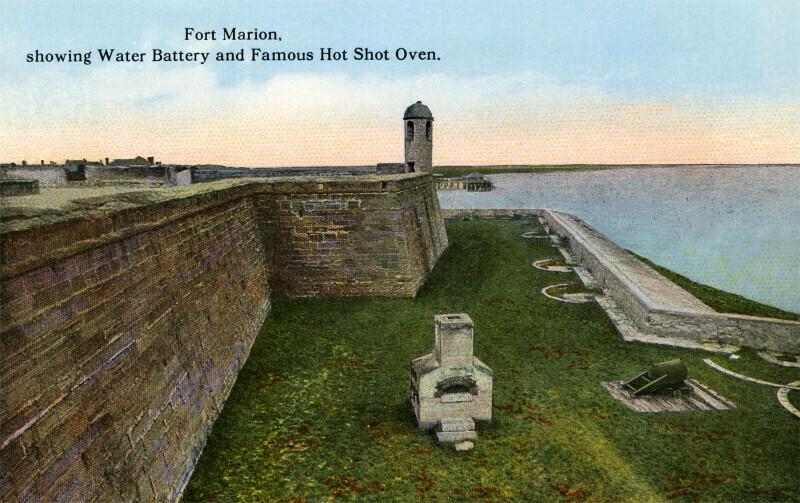 This picture shows the hot shot oven, near the water battery, at Fort Marion. Beyond the oven, one of the fort's bastions can be see, with a watch tower at the top. To the right, there is a low, stone wall. The fort is also known as Castillo de San Marcos. The fort is on the National Register of Historic Places, and is a National Monument.